You might be surprised to know that for a ‘cancer centre’ there’s a whole lot of laughter. In the nutrition groups it’s usually at my expense: I may have a frustrated comedian hiding in here somewhere. I always feel a bit bad if there’s a quieter group meeting nearby, perhaps learning some meditation techniques or doing a bit of tai chi, because it’s not just laughter it’s my loud, fifteen year-old juicer, too. Oh dear. I try and save them a bit of food so hopefully we’re even. 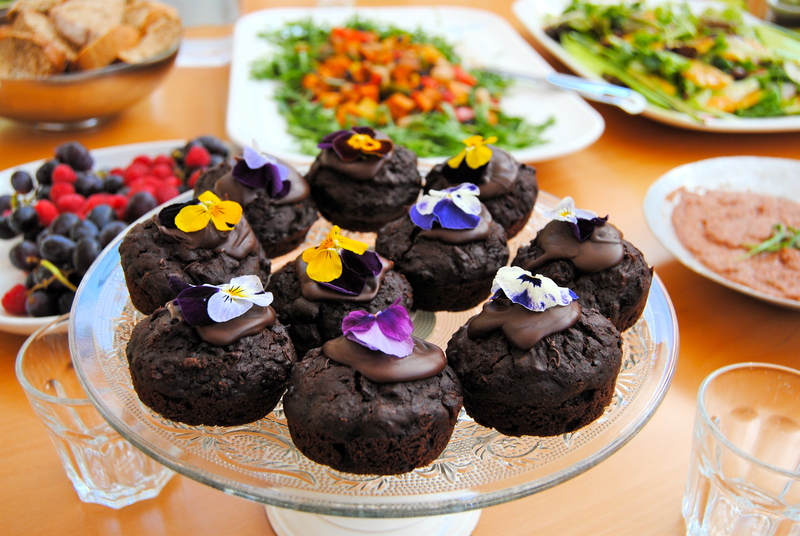 Anyway, after the main bit of the chat we sit down to a three course vegetarian lunch, usually a soup, a few seasonal salads – one grain or bean-based and one vegetabley, some kind of vegan dip – or herbed oil – and bread, followed by a healthy cake or crumble and some colourful fruit. The favourite sweet is definitely my chocolate beetroot cake, which I make as muffins because I am a terrible at neat slicing. I am willing to bet I flunked ‘cutting’ at kindergarten. For what it’s worth I am gradually writing up and blogging the most popular/least leftovered recipes. People are sometimes surprised that I don’t run the course as a cooking demonstration. This is mainly because some patients are particularly sensitive to cooking smells, but also because I am desperately messy, using every pan in sight. So, I make the food at home, bringing it in where either the completely indispensible, long-suffering Jim (Edinburgh), or the uber-sensible and calm Cathie (Kirkcaldy) heat and stir with minimal instruction from me. Thanks guys! 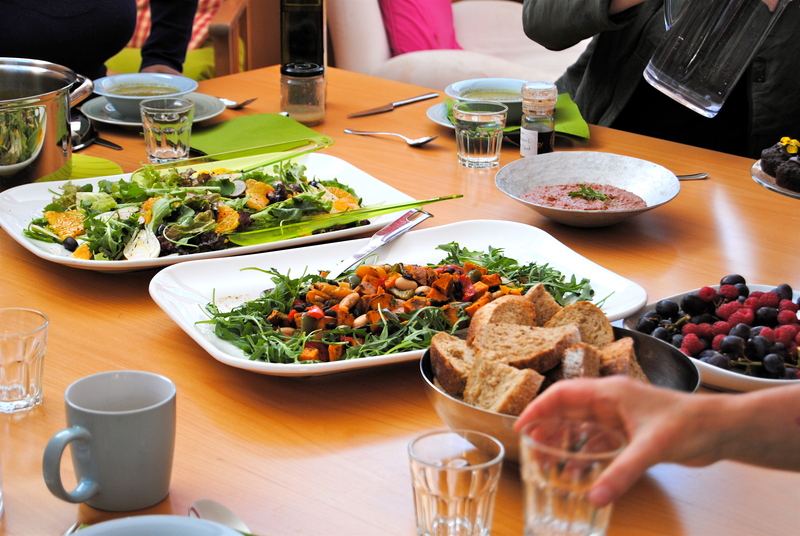 At the Edinburgh centre I also counsel individuals who might have special dietary needs – those who need to eat a low-fibre diet, for example. We sit in a cosy, calm room overlooking a granite cube fountain that gently burbles away just beyond the floor to ceiling window, me trying to to remember to let the visitor choose the seat with the view. So calming, with the quiet trickle harmonising with the crisper rustle of the surrounding bamboo. Can you picture it? Diet is my specialist subject, but we talk about the importance of stress management and physical activity, too. The well-designed and beautifully furnished rooms and spaces at all the Maggie’s Centres certainly help to relieve stress and tension. And so does soup. Who doesn’t get a curled up and calming feeling from a bowl of soup? But funnily enough a colleague, who is a friend and good Irish cook, just last week said that she doesn’t make soup beyond St Patrick’s Day. She has it nearly every lunchtime during winter so by mid-March is itching to embrace something fresher. So I hope this one just slips under the wire for her to maybe try and make. I’m bringing this in for Wednesday’s session but I sometimes feel a bit shy about bringing in soup and baked goods. You see, the Scottish are premier league at soups and baking, whereas this American is a Sunday kick around the park girl who occasionally gets one in the net. 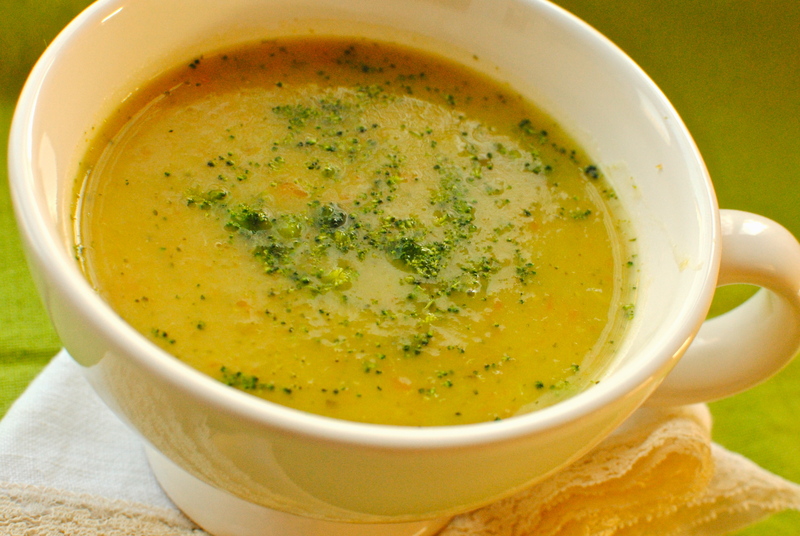 Another recipe for the #greenslove bloghop, this is my new favourite spring soup, all pale green and flecked with herbs and young carrots (or old carrots). It started out life as my usual leek and potato soup (recognise the cloth?) but I had some broccoli, carrots and lemons that needed using so I included those in as well. The first time I made it I forgot to take out the lemon peel before blending it (well, we were hungry). I was all prepared to wince when tasting it, but this was in fact one of those happy accidents that we home cooks get excited about. The soup really tasted good, more rounded, with the cooked peel whizzed right in. In this latest incarnation I have forgone the lemon juice entirely, relying solely on the simmering to de-nip the peel, leaving only a tasted fragrance. I hope you like it. As for the herbs, the UK seems to be in the grips of a tarragon shortage, which will not be alleviated until April. No matter as the dried stuff tastes fine in this instance. But please don’t use dried parsley! If that’s all you have, leave it out. End of. 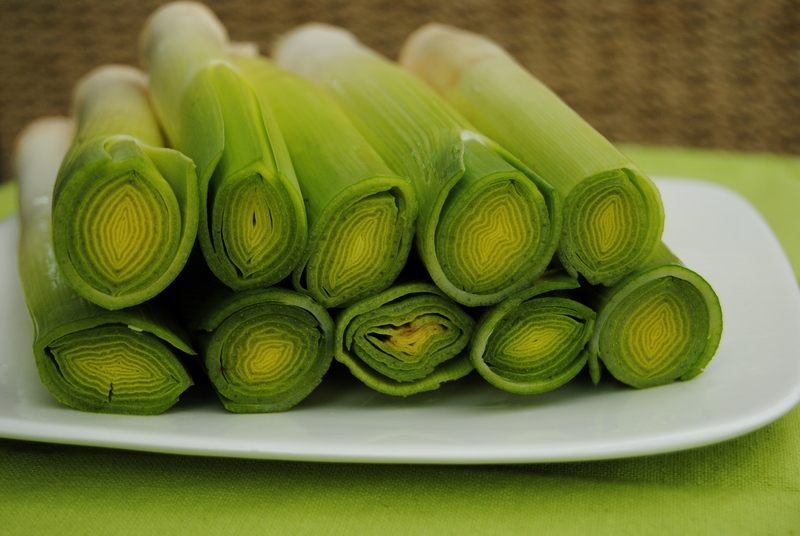 Split the leeks in half lengthways and slice thinly. Pop the slices into a colander and rinse well to remove any lurking dirt. Home-grown and farm shop/CSA leeks are usually loaded with dirt and grit. Let the leeks drain while you heat the fats in a large, heavy-bottomed saucepan. Once you start to see little bubbles forming under the surface, add in the leeks and sauté gently for about 10 minutes. Now add in the potatoes and carrots, cooking for further five minutes. Pour in the water or stock and add in the chopped herbs and lemon peel. Bring to the boil then turn down and simmer for about 25-30 minutes, or until the potatoes and carrots are tender but not breaking apart. Add in the broccoli for last five minutes. If you use ‘older’ starchy potatoes they may fall apart, but that’s okay. It’ll still taste good. Blend the soup with a hand blender/stick blender, or in a food processor. Taste for seasoning and maybe add in a touch of white pepper, although the broccoli will add its own peppery taste. I sometimes only kind of half blend it to give it a chunky yet smooth texture. Serves 6 hearty bowlsful. 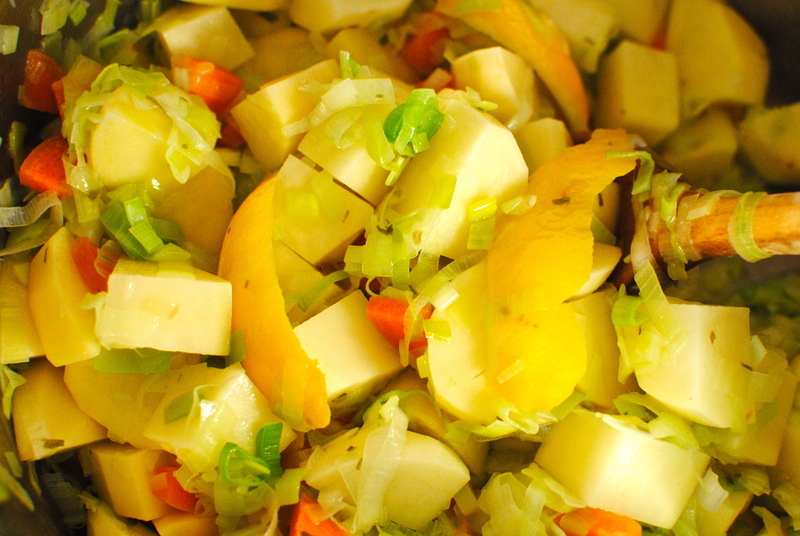 Less calories: Skip the sautéing stage altogether and bring all the veg to the boil at the same time. More calories: Add in 100 ml of double cream, crème fraiche or non-dairy cream substitute when just heated through, or drizzle over best olive oil for each serving. 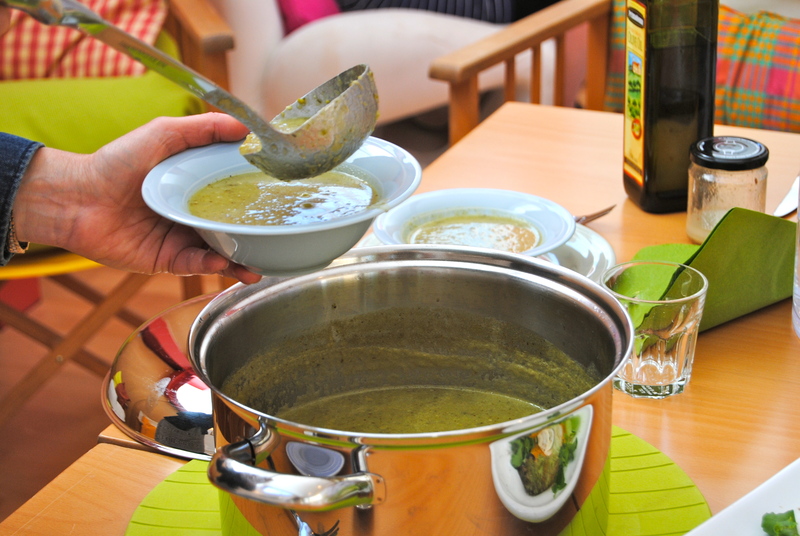 So great to read about the good work you do and this soup looks absolutely delicious! Thanks Deanna. The photos are a bit dodgy but the soup is nice. Thank you for commenting. Can it really be a year since Turkey and Root veg Meatloaf? I have an idea that this soup will be popular in our house and as I have had a preview of the herby flatbread I look forward to the recipe! Ah, glad the flatbreads tested well. I promise the soup is lovely. I add a bit more peel, but I’m a sourpuss 😀 let me know if you make up a pot. But you know what I mean about Scottish soup making & baking, don’t you? I can’t really compete. OMG celery!! !I didn’t know about the Celery story. I will go over and have a Captain Cook at the Cleaner Eating Piece in Cancer & Nutrition. BTW before I go over there . . .do you have the Tumeric, Coconut Oil, Pepper ayurvedic cancer cure? Not sure about cure… But certainly turmeric, black pepper and olive oil/coconut oil are ‘potent partners’. Human studies are thin on the ground but animal studies look interesting. Risk of liver problems for some folk with cancer so we don’t advise self-treatment with this combo. But it is a watch this space combination. Ah , very kind. May just take her up on it. If I can find any recent photos. I’m camera shy. well here’s the thing. She wants some customers. Bear in mind she has a Bachelor of fine Arts majoring in photomedia and she’s a very sweet sensitive soul. Grab a few happy snaps of self – take some quick new ones if need be and send them over to her. You would have to become a member of her site which takes all of a minute and hey presto. Upload some pics to her and see if she’s any good. I told her I made you the offer and she’s wildly enthusiastic. Give her a go! I will grab a friend later in week and force her to take unsmug photos of me. I will have a look at significant other’s site. I hope she doesn’t regret it! Love it, Kellie. You are an angel… did you know that?! I’d just like to say how great Kellie’s Nutrition Courses are. She manages to impart an astonishing amount of information, and inspiration, just by sitting chatting to the group. And the lunches are delicious! To anyone who uses Maggie’s Centre, and hasn’t yet attended one – sign up now. You won’t regret it! 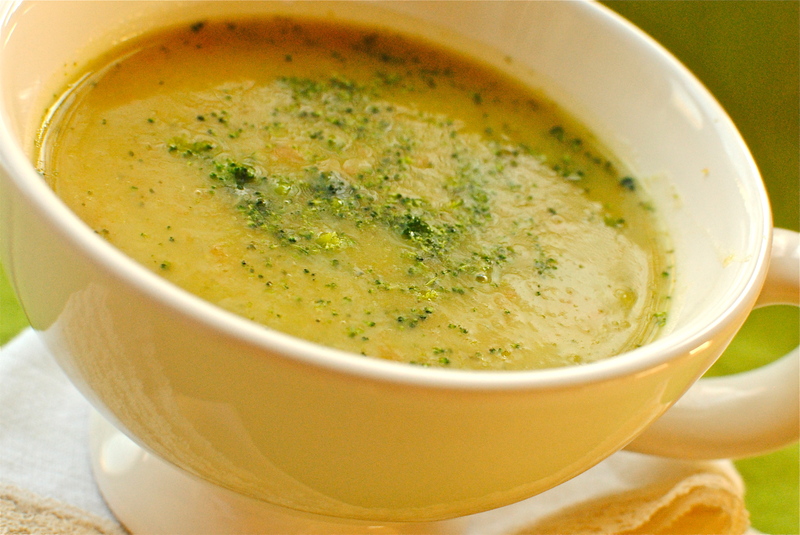 Love the bright yellow color of your soup! It’s the carrots de-greening the leeks & broccoli! It has been unseasonally warm and now a windy, wet week is arriving at our doors. 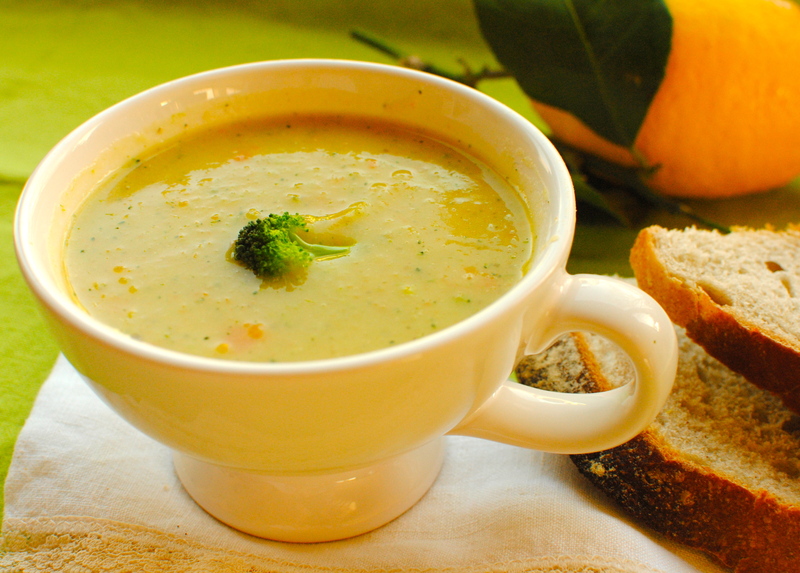 Perfect timing with your delectable soup recipe! I am sorry that spring has come to a sudden halt for you. I hope this soup brightens up the gloom a bit! So nice to meet you through greenslove and even better to get to know about what you do. I’m a cancer survivor, tho didn’t need to go thru chemo for what I had, but certainly agree with diet and eating right, through the process and always. 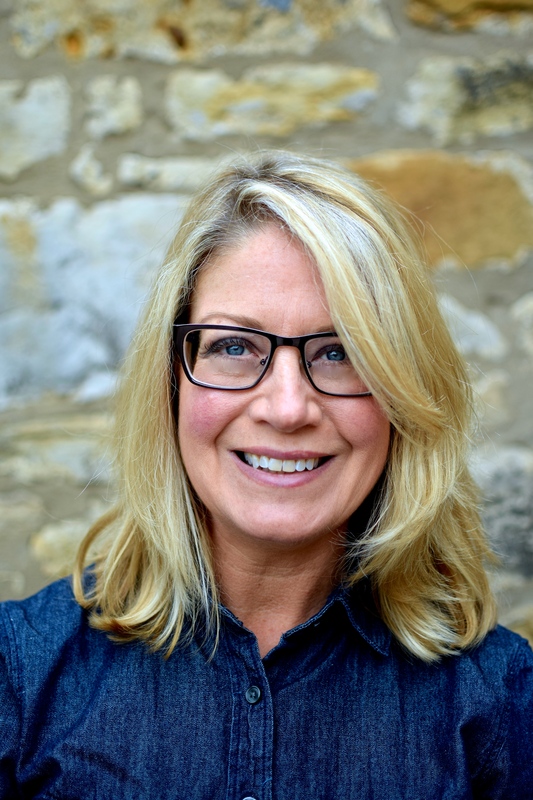 Love your blog and I’m looking forward to following along with you! This soup sounds delicious and healthy!! Nice to meet you! Hope you are doing well & loving life. Plenty of ‘anti-cancer’ recipes (I kinda hate that word combo but it gets the point across) here but a fab green tea cake on its way too! Would love any feedback on the cancer info. Thanks for finding me through #greenslove. Truthfully I could write greens recipes till the cows come home! Thanks Joao. I’ve got a number of soups on the site so feel free to explore and experiment. And I liked your post on squats too! Thanks also for for being a new subscriber; I really appreciate it.